trees in the hammock which embraces both ocean & mountain views. IDEAL FOR NATURE LOVERS ONLY... because, although the cottage does get pest control quarterly, you may still see insects. It's part of being in a tropical climate. Its a short 15 to 20 minute walk down a shady little road to beautiful Anahola Beach. In case of a tsunami warning you will NOT need to evacuate as we are not in the evacuation zone. Our retreat is located in the East for a great base to explore both sides of the island. Also within 25 minute walking distance is a little general store, post office, ono char burger stand. from the moment we turned down the driveway and saw the Anahola Mountains I knew this little cottage would be the perfect place. We woke every day to sunrises over the ocean. The cottage is clean, decorated with Hawaiian charm and has all the essentials plus some you'll need or want. Highly recommended! Aloha. Thank you Diana for such a wonderful, scenic, peaceful, and beautiful spot to allow us to unwind after almost a month away travelling. Truly restful and such a treasure! We would love to come back sometime! We had a great time staying here. All the seclusion you will need unless you consider the roosters and chicks an invasion of privacy LOL. The kitchen is very well equipt for making pretty much anything. Plenty of outdoor seating, some beach stuff and an awesome hammock to sway in. There is internet to stay connected but don't expect to stream anything which was fine with us, the peace and quiet were well received. The surrounding property was very lush and tropical. I highly recommend this place if you are looking to spend your vacation like a local. We enjoyed our stay in the Mahi cottage. Large airy rooms, nicely furnished with lots of original artwork. Comfortable bed, excellent shower, roomy kitchen, and outdoor seating for sunny morning breakfasts. Diana made a point of stopping by to introduce herself. While the cottage is quiet and private, it’s not what we consider secluded. There are two homes with direct sight lines to the lanai, and the common driveway to a second cabin and the main house go right by the cottage. 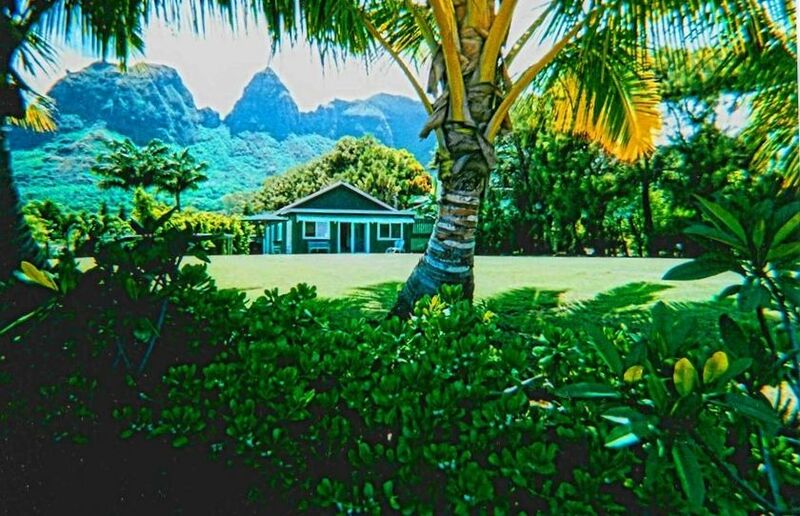 The cottage was a wonderful base from which to visit the several world class beaches on the windward side of the island. We couldn’t get over how uncrowded the beaches were, even on the weekend. In short, the cottage is a wonderful place to stay and relax in beautiful surroundings. We are sad to leave this beautiful place today. My husband and I had such a wonderful stay at the cottage. Our trip was focused for adventurous hiking and we enjoyed being able to come back and relax in solitude at the end of each day. We ate all of our meals in and fully enjoyed the cottage. It is so peaceful and you are surrounded by beauty and nature. We look forward to returning to the cottage someday. Lovely, peaceful stay! We are older seniors and appreciated the comfortable, rustic ambiance of the cottage! Lovely beach at Anahola, friendly people, good beach equipment provided! Our hostess, Diana was most friendly and helpful! We highly recommend this place to anyone requiring a good place to cook and dine, and generally relax! Our walks around the property were lovely, the sunrises while drinking coffee on the lanai were stunning, and the full moon last night unforgettable! Thank you so much Diana, hope to be back next year!